Nick received his BS in Materials Science and Engineering from Johns Hopkins University in 2012. After graduation, he worked as an R&D Engineer developing the chemical and electrochemical system for a novel battery at Primus Power, an energy storage company. 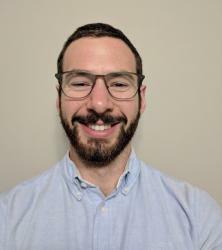 In the Fall of 2017, Nick joined the Franklin lab. His current research is focused on the development of printed and nanoelectronics. Besides research, Nick enjoys exercise, cooking, and reading.